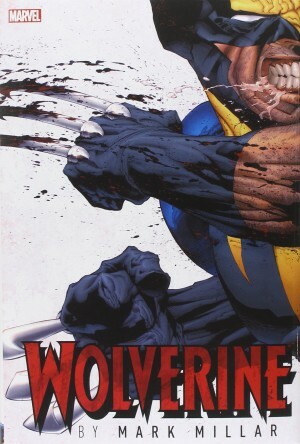 If only all comics were this engaging and inventive. Yet the concept of Young Avengers is so threadbare, but for the second time, and under a different creative team, it’s proved that these characters have a life beyond their unpromising title. The secret, though, is that Kieron Gillen all-but dispenses with the Avengers aspect of the title to concentrate on the remainder. These are young superheroes, conflicted and confused after one of their number didn’t make it to the end of The Children’s Crusade (but don’t worry, they’re better, just not here). They’d taken a collective decision to hang up the spandex, but some of them find it’s in their blood, and are furtively out there fighting crime at night. 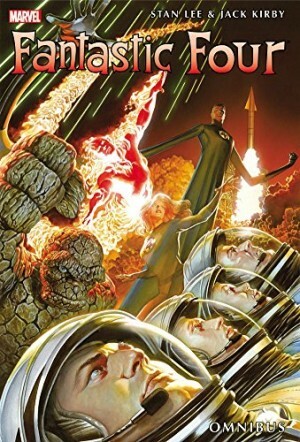 To the team as previously constituted writer Gillen adds disgraced former proper Avenger Noh-Varr, powerhouse Miss America, visiting from another dimension, and, later, Prodigy. 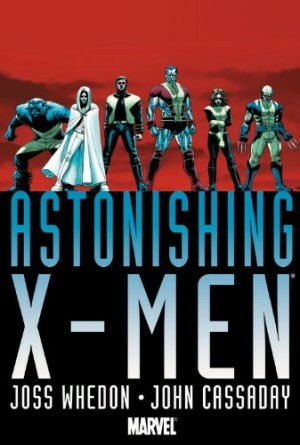 He’s no longer a mutant, but retains memories of everything learned while he was, so buttressing a formidable intellect. Motivating everything, though, is Loki, now very young indeed and claiming to be reformed and repentant of past deeds. Gillen’s characterisation of Loki has no element of deceit. He’s upfront pretty well from his introduction to the team, yet time after time he manages to surprise both readers and other cast members. 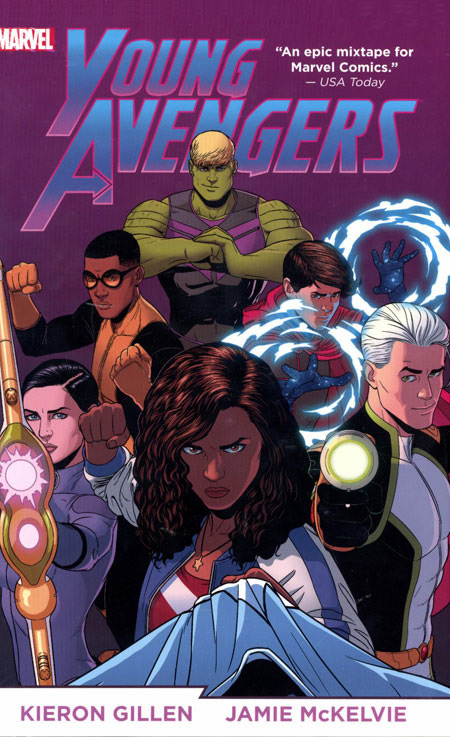 Although previously available as three volumes, this incarnation of Young Avengers is pretty well a single continued story with coda, set in motion when Wiccan scours alternate dimensions to find one in which his partner’s mother hasn’t died. This gesture initiated with the best of intentions, it transpires, was not the most advisable course of action, and the ensuing complications it generates occupy the team for most of the book. They go dimension-hopping, are separated, learn about life and each other, and if not quite back at home in time for tea, then their aftermath party settles all outstanding questions. In the UK, the team would now all be of legal drinking age, but as this set in the USA the final party sequence is strictly alcohol free. Gillen’s previously most acclaimed work has been with Jamie McKelvie on board for the art, and even if you’re familiar with his work and expect good things you’re still likely to be impressed. McKelvie characterises the cast as much as Gillen, through posture, gesture and expression, and makes excellent use of double page spreads. This isn’t your parents superhero title. Yes, the cast have superpowers, but they’re more interested in each other than hunting down super-villains, and pretty uninhibited about it. They’re young, often dumb, with their hearts in the right place and the very antithesis of the formula teen super team, yet Gillen never entirely loses sight of possible audience expectations. 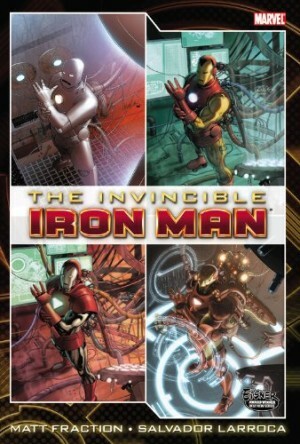 There’s intelligent and often funny superhero action, all of it well drawn. The final chapters have a posse of guest artists turning up to the party, and like all worthwhile guests they bring something good along. It’s a fine finale. 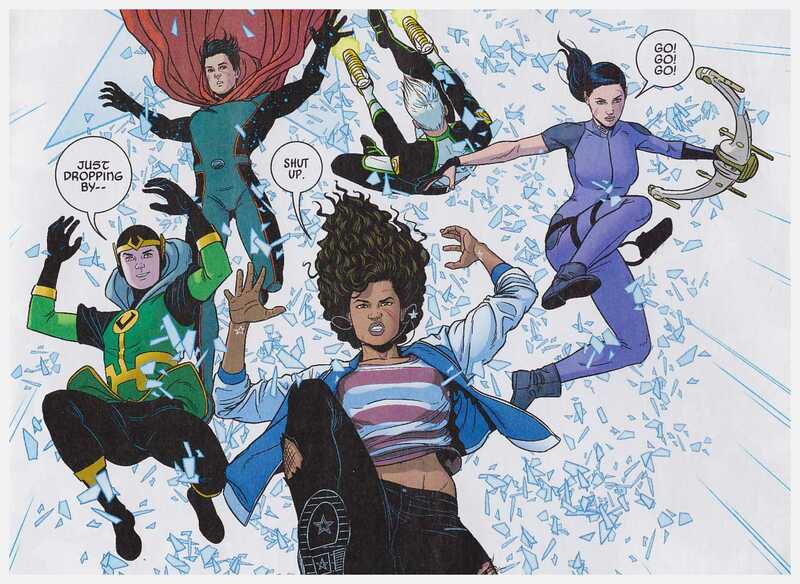 If you’re not convinced and merely want to dip your toes in the water as far as this incarnation of Young Avengers is concerned, then it’s also available as three paperbacks titled Style > Substance, Alternative Cultures and Mic-Drop at the Edge of Time.